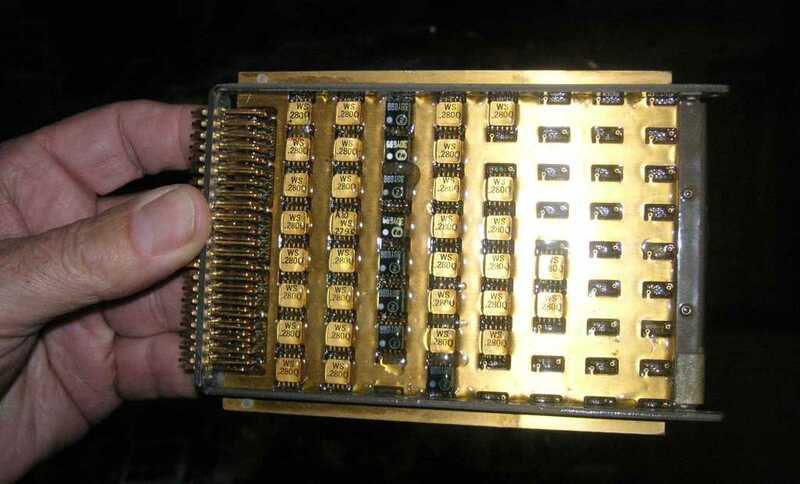 I was touring Atmel’s fab in Colorado Springs, so I made a point of contacting Bo Lojek, the author of the great book, the History of Semiconductor Engineering. 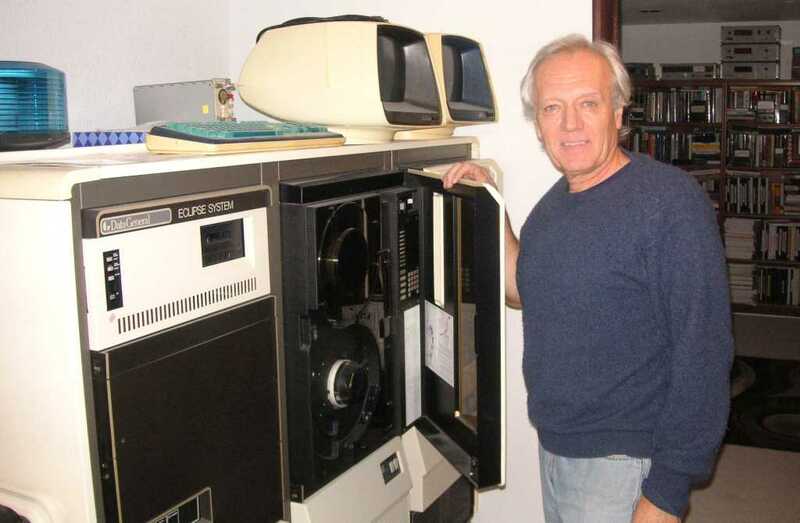 Although Bo is now a professor at University of Colorado, he worked at Atmel for 15 years. I was honored that he asked me to his home in Colorado Springs. Well, I have a pretty good home lab, but Bo’s lab just blew me away. Bo said he wanted to be an engineer from the time he was 7 years old. It runs in the family, his dad was an engineer too. So Bo told me that he built his house in Colorado Springs. If one of my Silicon Valley buddies says this he means that he had a custom floor plan home built by a homebuilder. For Bo, it means he had an engineer design the house to his specs, using metal studs, and Bo himself constructed the house, driving all 37,000 self-tapping drywall screws. I think he said it was 3600 square feet. 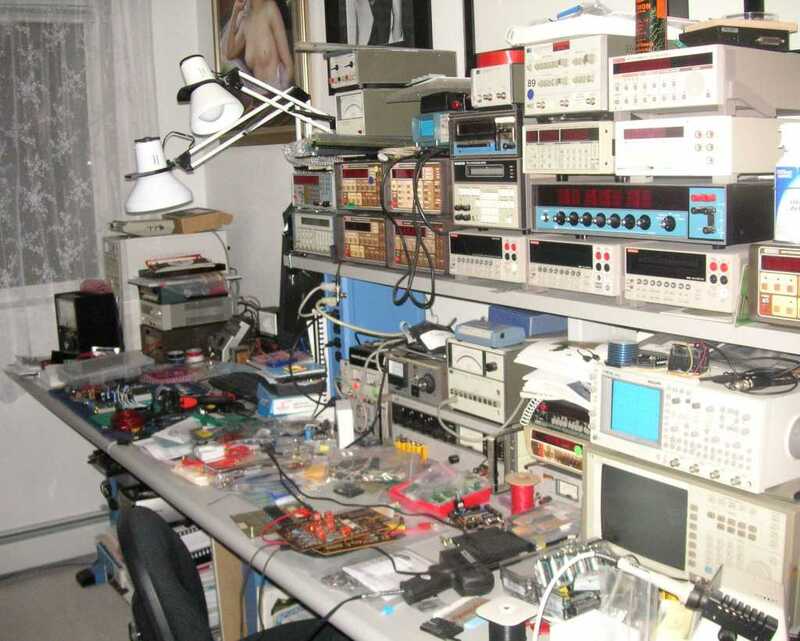 Yes, it’s an engineer’s paradise. This is what meets you at the foyer just inside the front door of Bo’s house. Bo said if I came back at daytime I could check out his collection of Dumont scopes in the garage. Every engineer worth his salt needs a Data General Eclipse computer in the hallway, just for data processing emergencies. Bo has arranged for all his stuff to go to the University of Colorado when he dies. It will be great to keep this museum together. It will also be a great excuse to visit Colorado Springs, other than to meet the space aliens that the Stargate people have inside the NORAD mountain. Bo has some early computer boards nicely framed on the wall. Lojek has a huge collection of voltmeters, including this Cubic model V-46A. 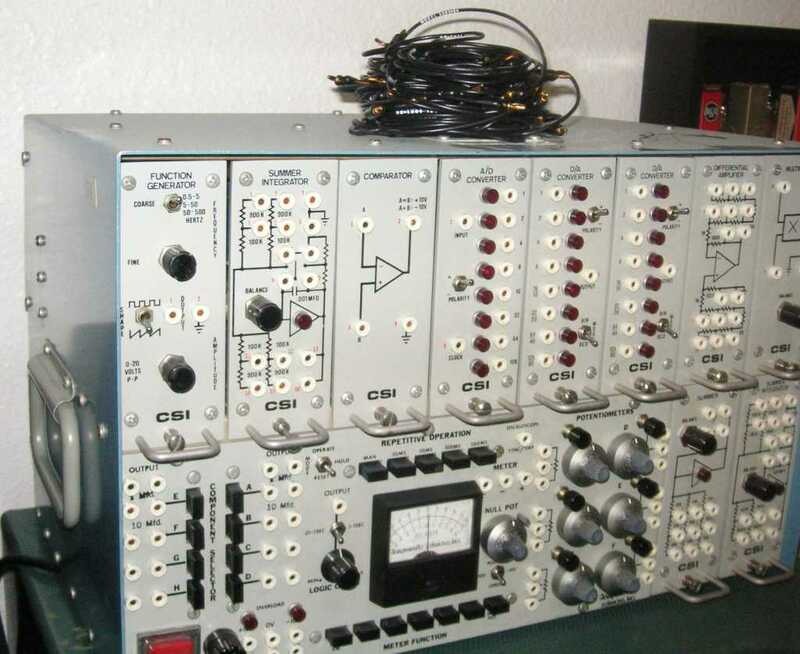 It uses telephone stepper relays and a handful of transistors to measure voltage. Pretty cool for 1960. 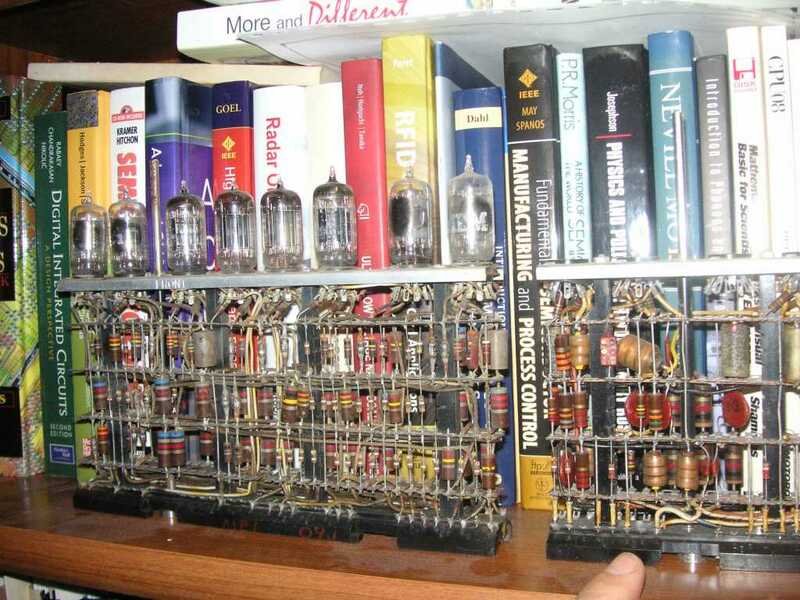 On Bo Lojek’s bookshelf are propped up some vacuum tube modules from a very early computer. And let’s enjoy Bo checking out the whole bookshelf. 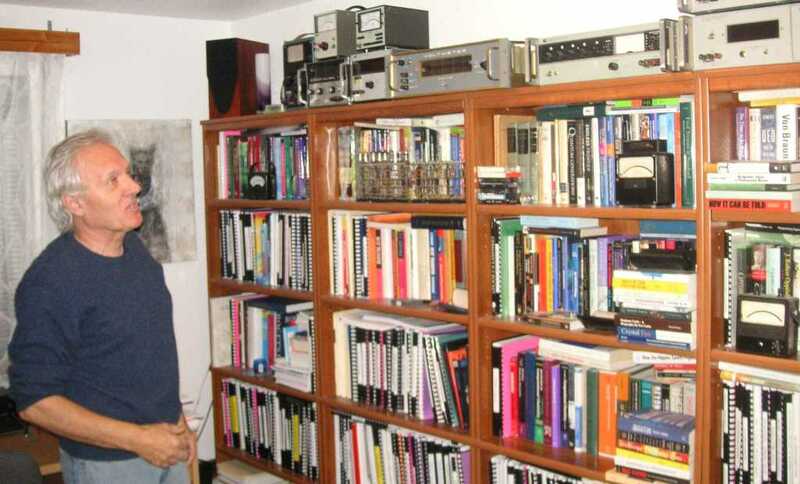 His house is not only engineer paradise, its college professor paradise. While Bo does not have the disorganization of dear departed Bob Pease, he does have a few things littering the floor. 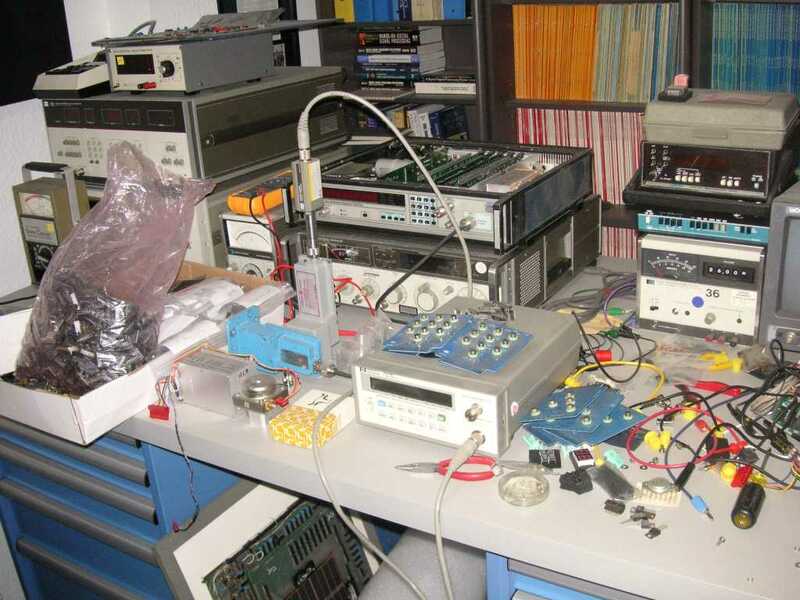 I used to use the same Data IO programmers to program the microcontrollers I designed into my consulting work. 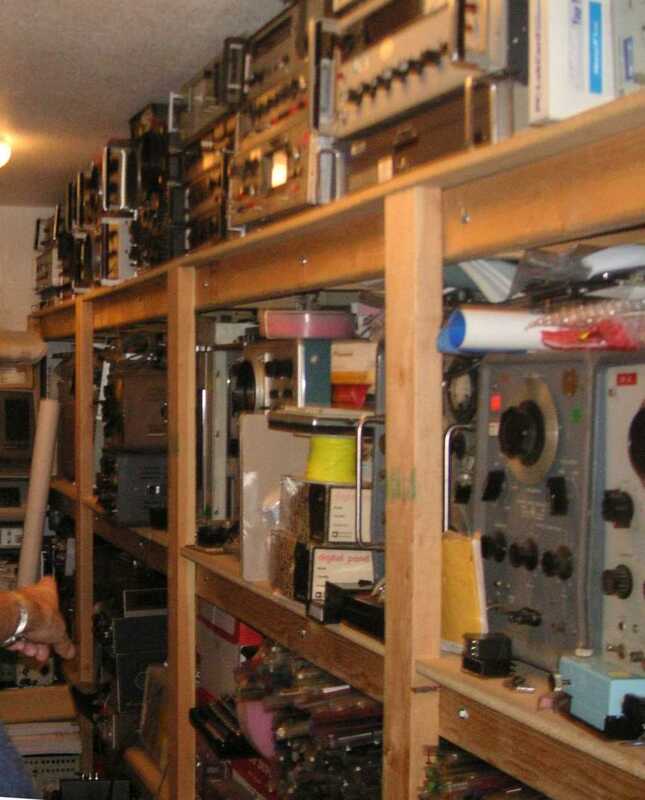 It does not disturb me that Lojek has a stack of early Tektronix mainframe scopes. What bothers me is I have several friends that have the same sort of stack. 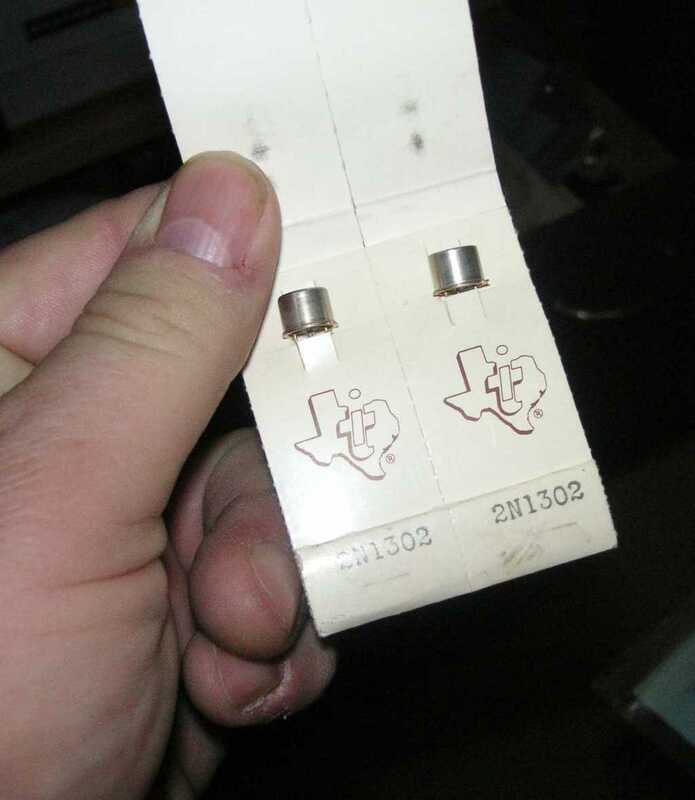 How about these early 2N1302 transistors from honored competitor Texas Instruments? 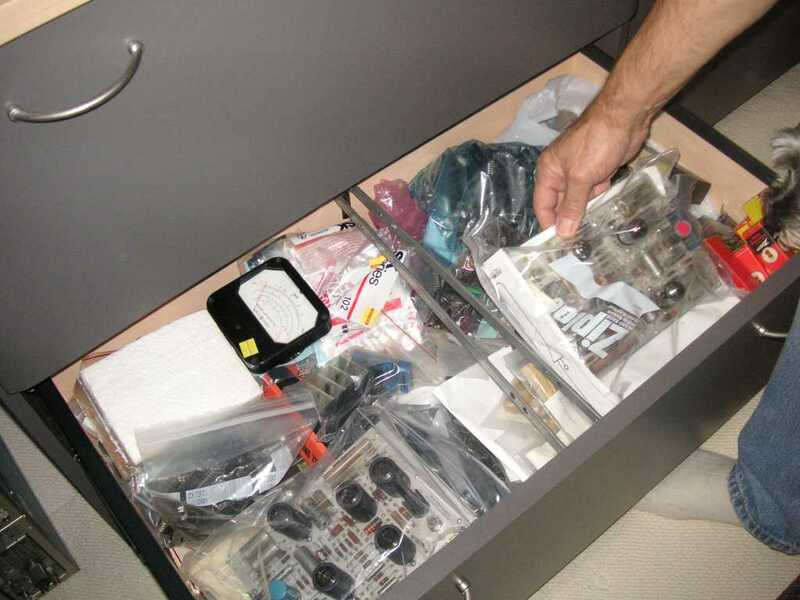 Lojek has drawer after drawer full of electronic components, including these vacuum tube computer boards. 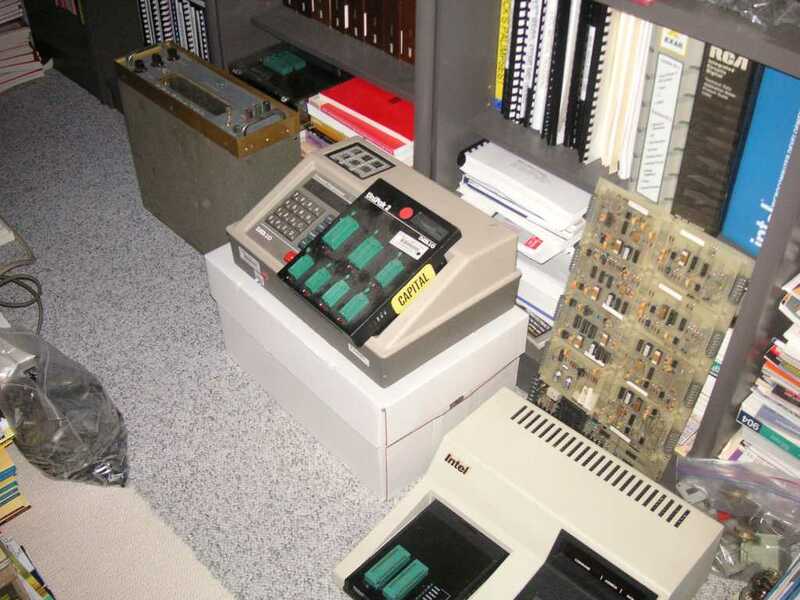 Bo told me that when Bob Pease visited his house, he could not tear him away from these two analog computers. I should mention that I knew of Bo because Pease told me what a cool guy he was. Bob knew Bo because Bob edited Bo’s book. Since English is Bo’s second language that was a lot of work, but Pease was happy to do it since it was such an important contribution from such a cool guy. 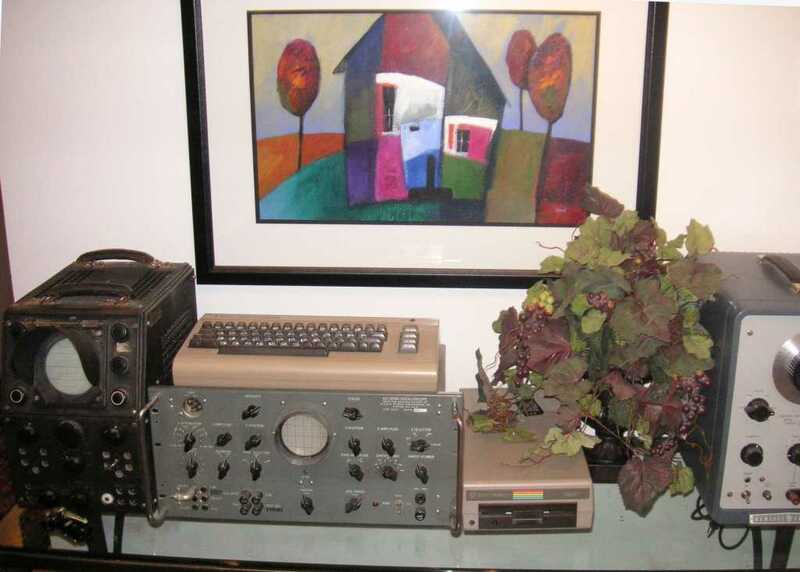 Here is a close-up of the analog computer that so entranced Bob Pease. All this cool stuff above is just stacked like cordwood all over the house. This is where we finally got to Bo Lojek’s lab bench. Bo told me he likes to write or read for a while, but then he has to go to the bench to do some experimentation. It reminds me so much of my mentor Bob Pease, who had an equal love for working with his hands a soldering iron. 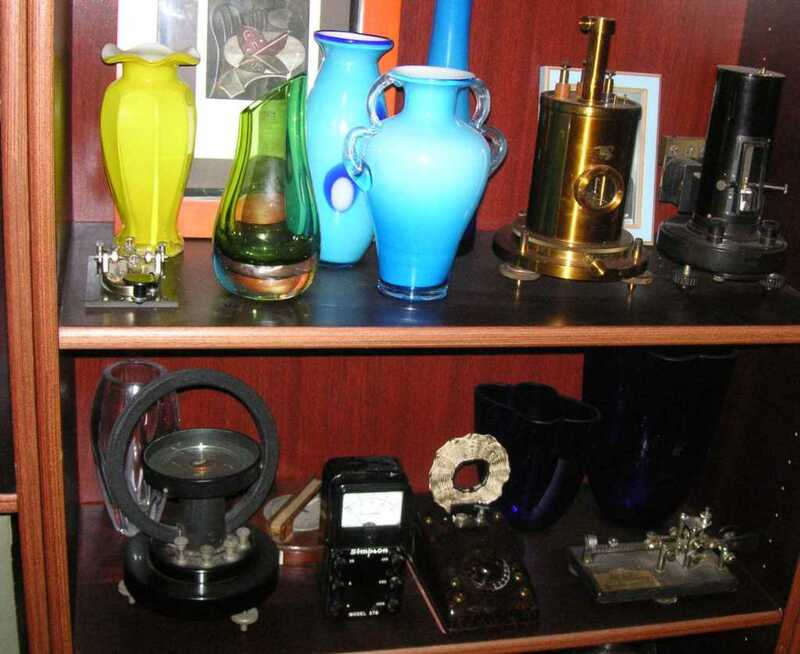 Every surface in Bo Lojek’s house is a treasure trove of memorabilia and electronic equipment. 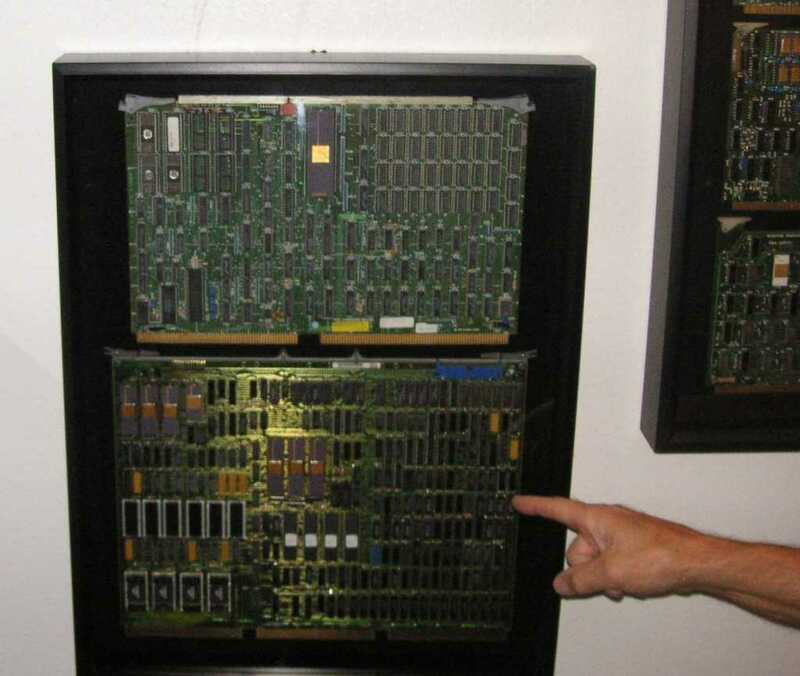 Here is a very early computer board that used “air gap” integrated circuits. 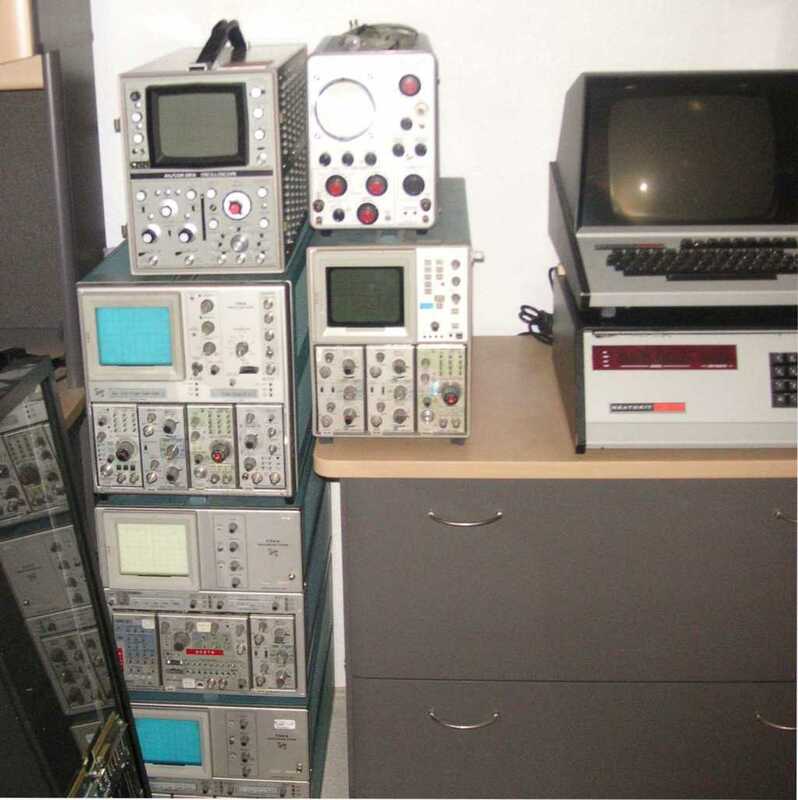 Analog Devices’ Barrie Gilbert told me that he got into electronics because surplus WWII magnetrons were so beautiful to look at he had to learn how they worked. 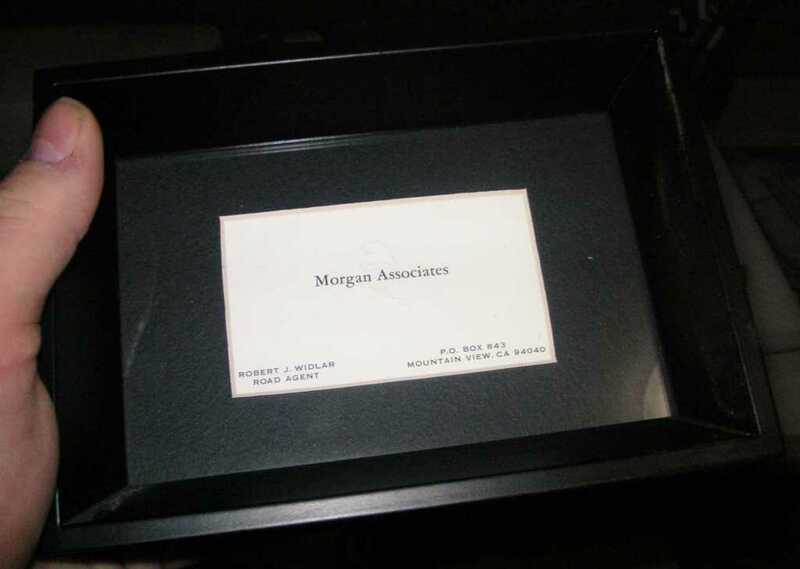 And how about this, a Bob Widlar business card? I love the title “ROAD AGENT”. Widlar had style. 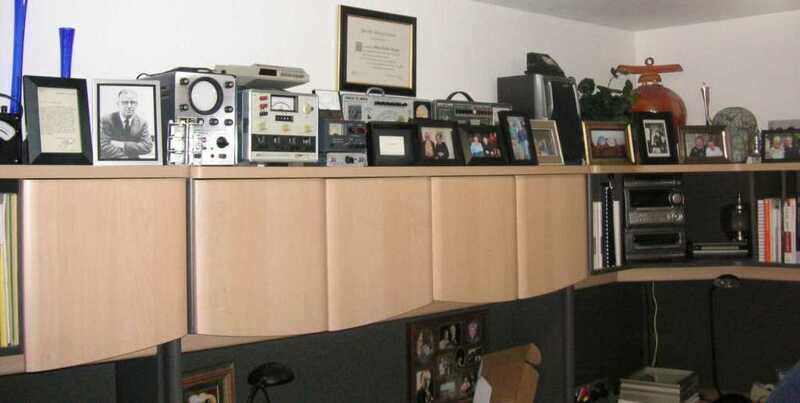 And when your engineer friend tells you he has a walk-in closet— this is what he means. Lojek has an artistic streak. 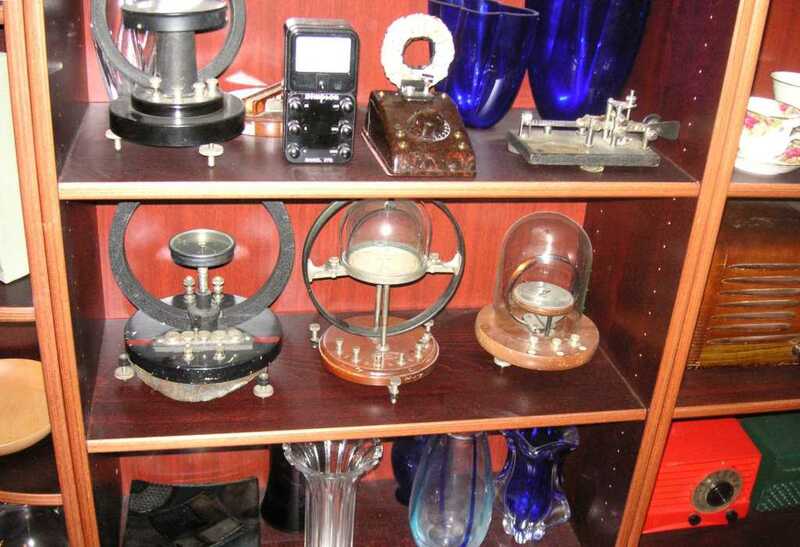 Amongst the pretty glass are a handful over very early galvanometers, some from the 1800s. More cool galvos and such. I wonder if the founder of Digi-Key has that same telegraph key? 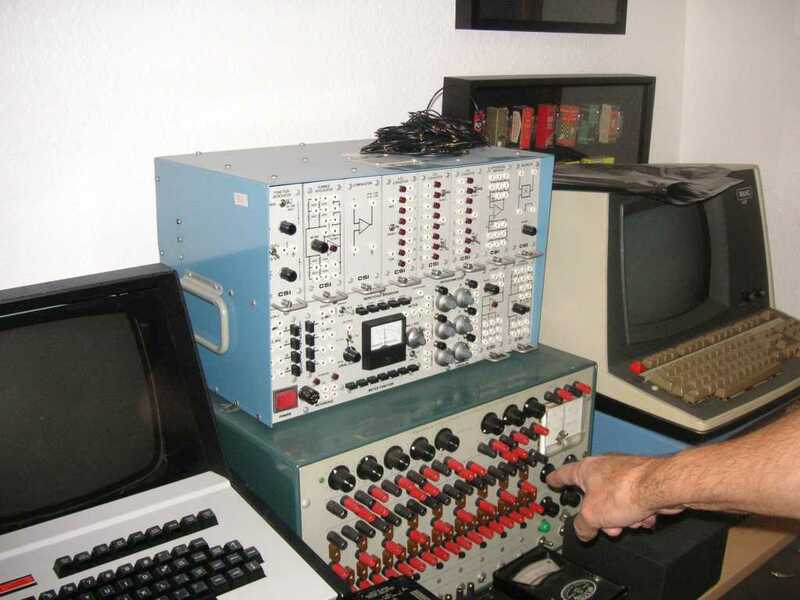 Ronald Stordahl started out Digi-Key by selling electronic telegraph key kits to Ham radio operators. 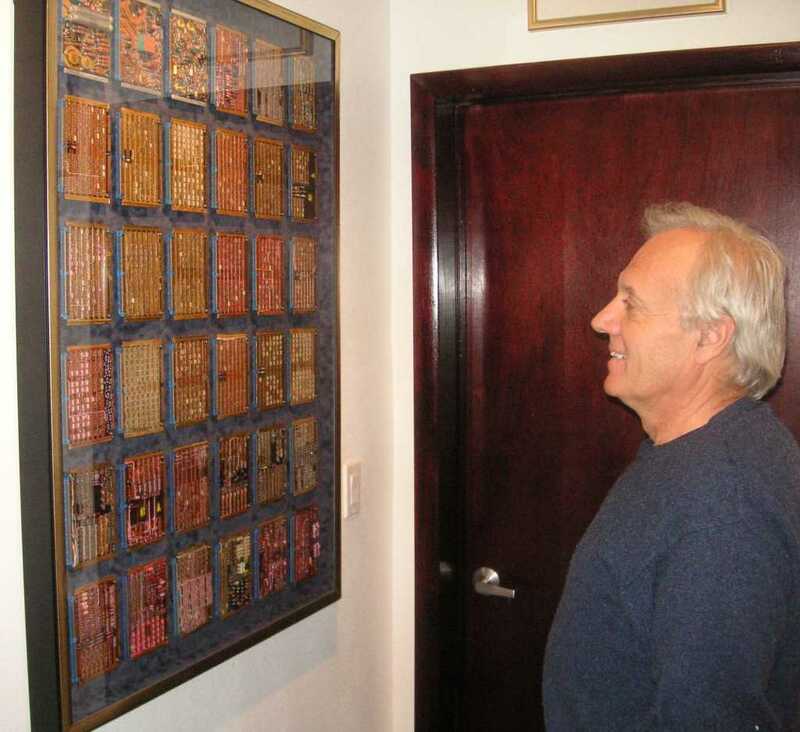 Here Bo Lojek admires a framed set of Minuteman missile circuit boards. Jim Williams had an interconnected set on his living room. Check the Minuteman missile PCBs and Jim Williams out in this video. OK, so I lied. That picture earlier, the one I called Bo Lojek’s lab bench. That was just the emergency downstairs lab bench useful of quick jobs. 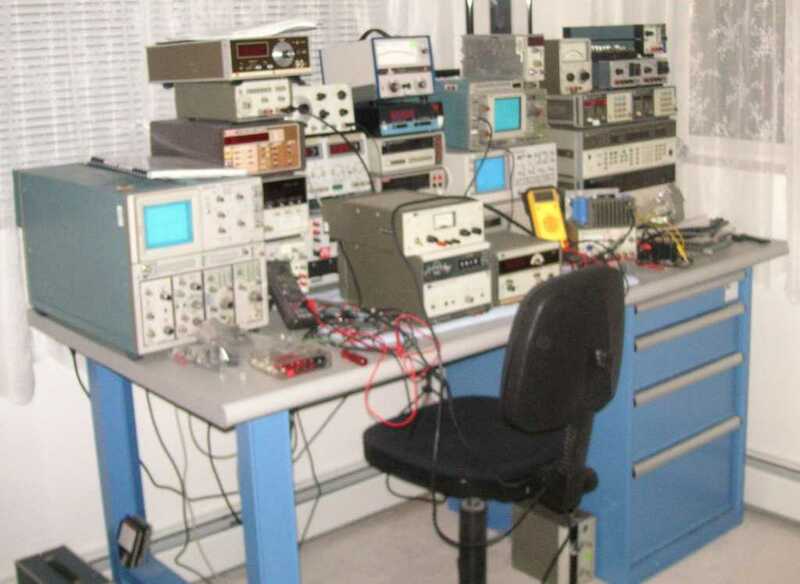 Here is the real lab bench. Next time I get to his house, I will fire up that big soldering iron and put it down right before the picture, so there will be a wisp of smoke coming off of it, like a Cowboy’s 6-shooter. That main bench above has a side bench on another wall. 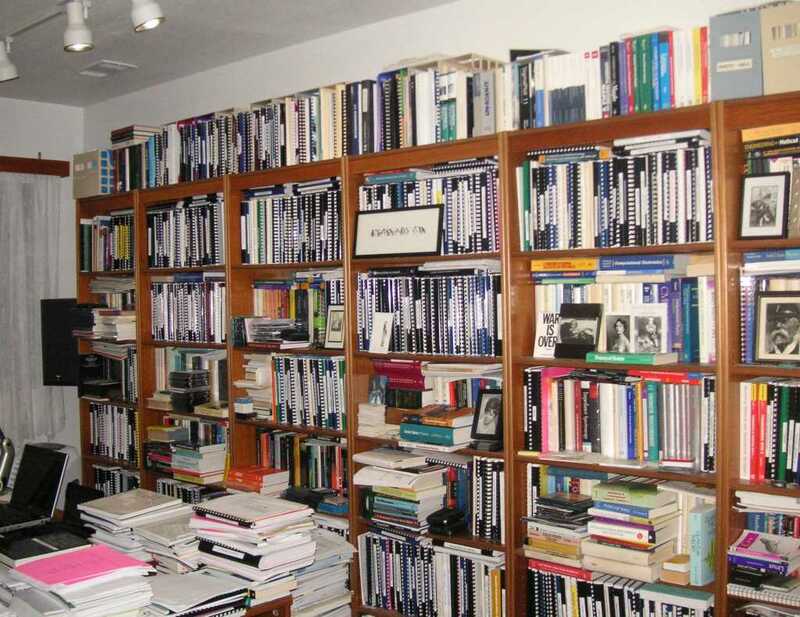 And books, boy do college professors love books. It was a real treat to see Bo. He said he is going to try and make it to the next Analog Aficionados party, so I will remind him so he can be among like-minded souls out here in Silicon Valley. The party will be Feb 8 2014, the Saturday before the IEEE ISSCC conference. This entry was posted in Application Highlights, Design Tips & Tricks, Design Trends, Engineering Perspectives and tagged Bob Pease, Colorado Springs, Data General Eclipse, History of Semiconductor Engineering, Silicon Valley, tag1, Tektronix on November 8, 2013 by Paul Rako.